Interested in locking down your home? Because you should be. What could be more important than making sure that everything you own is secure? And, even more importantly, everyone in your family spends most of their time at home. Therefore, with one purchase, you could make sure that everything you have and everything you are stays safe. For that reason, we are bringing you a discussion on the Nest Secure vs. Ring Alarm Comparison. These are the two best smart home security systems out there and we want to make sure you know all about them. For more reasons than one, we recommend both of these products as possibly the most important addition to your home that you could make. However, we definitely have a favorite in the Ring Alarm. The technology it uses is newer, it is more secure, and it has a more stylish feel to it that we are willing to bet that you will love. Additionally, the bang for the buck is better in our eyes. We also love the Ring ecosystem as a whole and tapping into that for both present and future purchases seems smart to us. 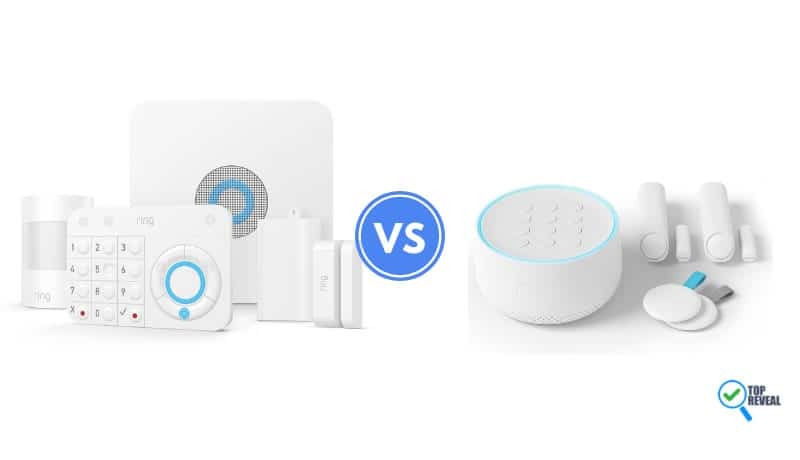 Therefore, while we love both products in the Nest Secure vs. Ring Alarm debate, we would pick out the Ring Alarm first. No home security system would be complete without the ability to immediately notify you of any disturbances around your home. Once connected to your home’s WiFi network, your Ring system will be able to tell you if a door or window opens while you aren’t home or otherwise expecting it. Knowing is the first step in keeping your home secure, right? How could you alert the police about an intruder into your home if you never even knew they were there in the first place? To interact with your home security system, all you need is your favorite smart device that you constantly have with you in the first place. Through the intuitive, useful, and easy-to-use app that you’ll download onto your device, you’ll have access to your home’s security whenever you want. You can check in that your system is all working properly while you are away or adjust any settings needed so that your system won’t produce alerts when you let someone in while you are away. This fully customizable package is useful on any type of home. Whether you want to monitor an entire house or just want to lock down a smaller apartment unit, this system has you covered. 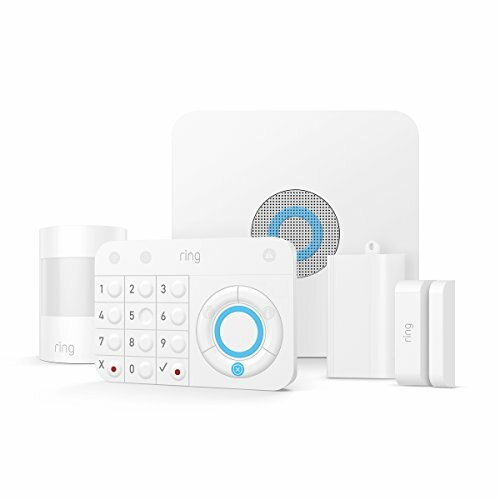 The starter kit features a base station, keypad, contact sensor, motion detector, and range extender, providing you with everything you need to start out an impenetrable home security system. Already have a Ring Video Doorbell? You’re in luck! This home security system can incorporate with your video doorbell to add another layer of security for the weakest point of security in your home: the front door. The convenience of having all of your smart home tech locked into one app cannot be understated. That’s some ease of use that may lead you to getting a Ring Alarm in and of itself. To put it simply, the Nest Secure provides a far more inclusive starting setup compared to any of its smart security competitors. The package includes the Nest Guard, the hub for the whole system, to begin with. Then, there are two Nest Detect sensors and everything needed to mount, attach, or otherwise place the sensors. 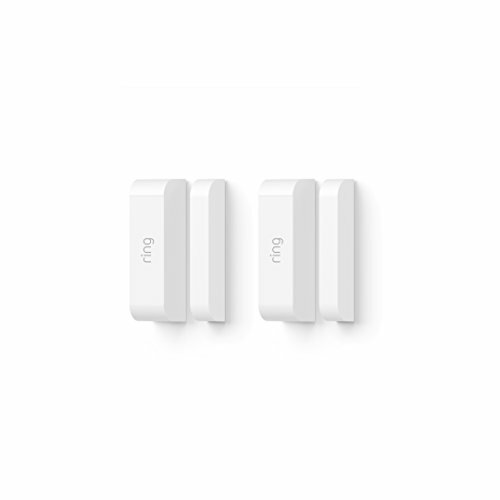 After that, there are even two Nest Tags (which we will describe next) to create a complete setup that you are bound to love. These unique offerings make this home security system easier on you and tougher on intruders. Nest Tags are small button sized sensors that you can give to trusted individuals so that they can enter your home without setting off your system while you are away. These Tags are unique to your home’s system so not just any Tag will work and they work without a passcode so your invited visitors don’t have any codes to forget. Talk about easy. If you already have a few Nest products, you know how great the Nest App is. But if you don’t, we’ll let you know that it is one of the best smart home accessories out there and makes your entire system so easy to use. 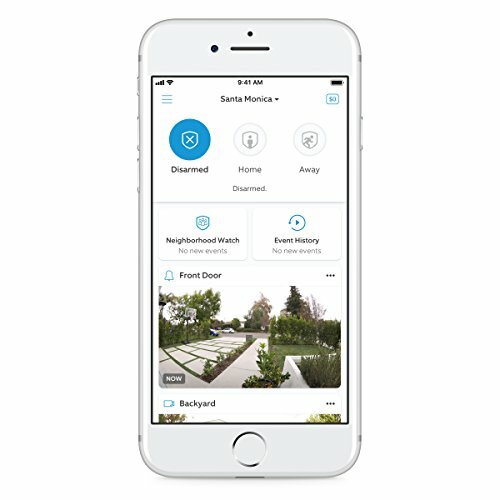 The app provides the window to connect all of your Nest products as well as receive alerts and messages from your new home security system. We also like to mention that, if you already have a product in the Nest ecosystem, you’re about to have everything in your smart home ecosystem all in one place! In a lot of ways, these two products can be seen as quite similar. The main similarity is that these two products are set up and ran in nearly the same way. The installation process is pretty similar in that you must place the system’s hub down, throw up some detection accessories, connect to your home’s WiFi, and use an app on your smart device to access everything. Of course, these systems will cost a few bucks. They are highly advanced smart technologies that will protect your home and everything in it, though, so that’s a small price to pay. Comparing the two, you are going to see a bit of a split in who costs more and less. Additionally, you may be wanting to add more detection with more accessories outside of the base starter kit so make sure to check the price tags there, too. Now, of course, both of these products are made by different companies and exist in different ecosystems. While this may seem obvious, it is important to note as you build up your smart home repertoire into the future. 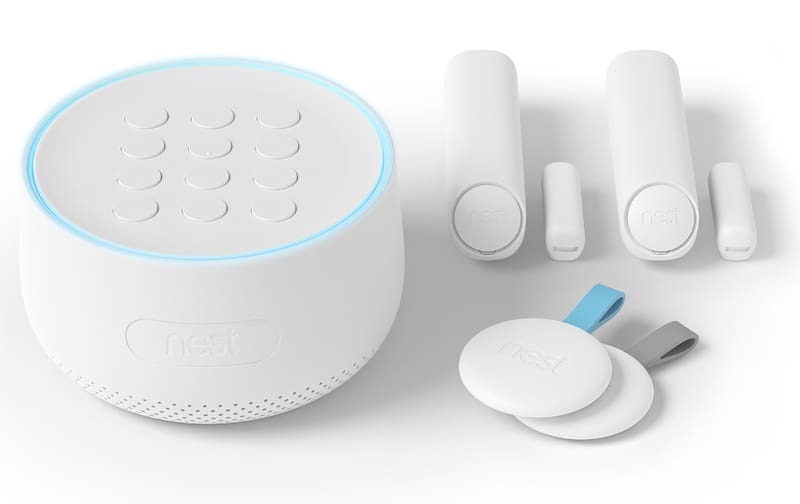 Do you already own a Nest product? Thinking of getting a Ring doorbell in the future? If you are the kind who wants to keep everything integrated and feature as few ecosystems as possible in your home, you may want to think outside of just this purchase and think of which ecosystem you really want to be a part of more. The various ways in which the systems themselves arm and disarm is also important. 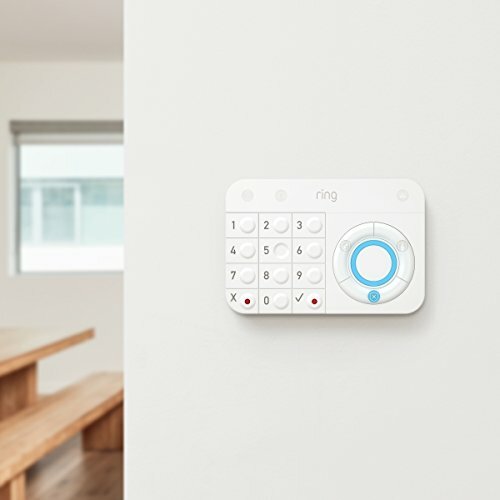 According to what Ring has posted, their systems simply feature an on/off switch that arms and disarms the system with no choosing between what it detects. If your system is armed and it detects motion, it’s going to alert you. However, Nest has a different way of handling things. Their system provides you with innovative Tags that allow persons who you give the Tags to enter your home without setting off the alarm system. Your system will still be armed but those with Tags won’t set it off. That’s a key difference in these two products and may lead you to choose the Nest. Altogether, both of these home security systems are highly desirable. Having either of them installed in your home is going to give you the peace of mind that nothing bad is happening at your house while you are away. However, when it comes to the Nest Secure vs. Ring Alarm, we have to go with the Ring Alarm. We love the Ring ecosystem and trying to beat it is tough to do. The technology is newer, more secure, and looks great in any home. The Ring Alarm is our winner, but if you want to get your hands on the Nest Secure, you will be making a great decision, too.